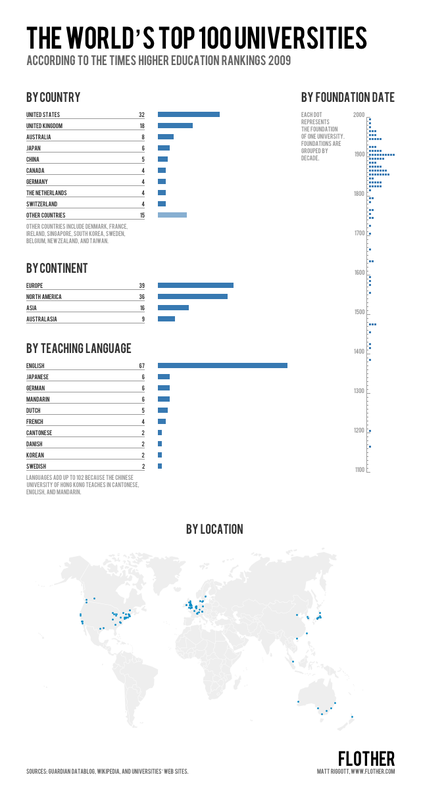 A very well done chart of the top 100 universities in the world. This chart is clean, clear and concise. Andy :) you made me think about ranking of universities :) I will have to check details of the ranking, how the rankings have been calculated.